You are currently browsing the Archaeofacts.com archives of Musings for the day Wednesday, January 20th, 2010. 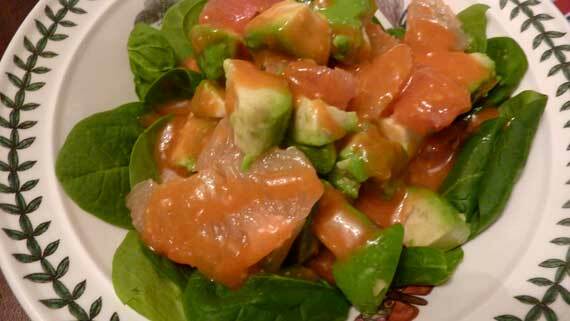 D’s super salad—grapefruit and avocado over baby spinach, with a scrumptious dressing. Second day in a row of lusciously warm weather, accompanied by the prediction that the rain is coming. We got in some porch time with the neighbors this evening, enjoying the fading warmth.